#005 Smart Doorbells-Why They Are Better Than Security Cameras, Nest Hello Smart Video Doorbell Review, Tips, Tricks and Hacks. 1. The nest hello video doorbell has 24/7 video recording and footage just like a traditional security camera. The other doorbells on the market only start recording footage when "motion" is detected by a motion sensor. What this can lead to is that if the motion sensor is faulty, slow or if someone approaches from an angle that does not trigger the motion sensor immediately the footage you record on your doorbell may not show the the persons face as they approach the door and may only turn on once the person has their back to the camera. 2. The nest hello video doorbell is hardwired. This allows it to have a strong reliable wifi connection to your home wifi network. Their are battery powered doorbell options on the market like the ring doorbell but I have found that when the ring battery powered doorbell is used it can have problems with wifi connectivity, it has a slow video connection or the battery can quickly drain if you have it set for sensitive motion. Charging and replacing a battery monthly or every couple months is just another chore. Home automation is supposed to make your life easier, not add to your to do list. If you don't have wiring for an existing doorbell in your home and you want to get a smart doorbell you should install the new wiring for the nest hello smart doorbell. I would argue that if you are going to make a $200+ investment in a smart doorbell you should invest in making sure it is reliable and working by providing it a hardwired powered connection. You pay hundreds of thousands of dollars for your home, over the long term having a reliable, wired and powered smart doorbell makes sense, think of this as an upgrade you would do to your home and do it right. You wouldn't remodel your bathroom and forget to put a sink in would you? We also have multiple guides on how to install the wiring for a new nest smart doorbell and transformer if you need to either install new wiring or upgrade your existing transformer. 3. 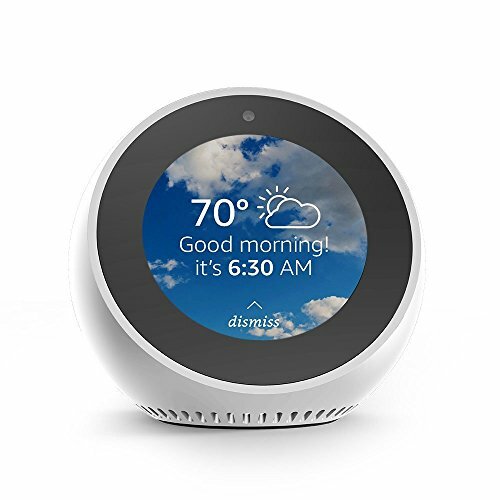 If you are already invested in the nest ecosystem is makes it nice to use the same app to control your nest thermostat, nest smart doorbell, nest smart lock and smoke detectors all from one location. 4. I have found the nest hello doorbell to be more reliable than the ring doorbell. Thank you for visiting and please enjoy our review, tips, tricks and and hacks for the nest smart video doorbell. Review of the nest hello smart video doorbell. Why smart video doorbells are better at capturing faces than traditional security cameras. How the nest doorbell is different than the ring doorbell. Tips, Tricks and Hacks for your nest hello smart video doorbell. Controlling your smart video doorbell with Amazon Alexa. 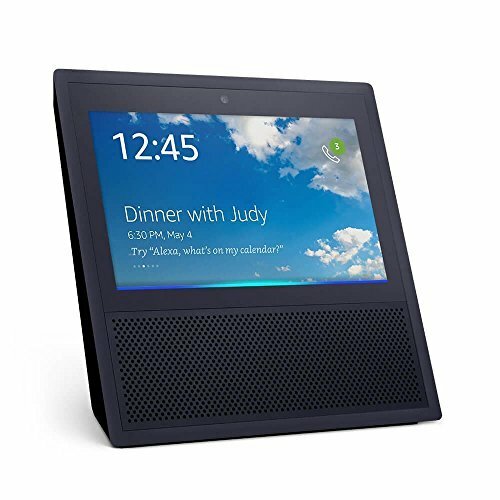 Amazon Alexa Spot-Has screen you can view the nest hello doorbell on and my favorite echo device. 1:41 Nest video doorbell, I currently have a nest video doorbell on my home and have loved it. 1:54 It has 24/7 streaming capability like traditional security Camera. Not all competing smart doorbells record 24/7 many just record when motion is detected. 2:00 Nest Doorbell has 160 degree field of vision so you can see a large swath of your yard. 2:32 A smart video doorbell is meant to replace your existing doorbell. You place the smart doorbell where your existing doorbell was located. 3:00 The nest video doorbell includes a 15 degree wedge included with the doorbell to adjust the field of vision on the doorbell. 3:50 Nest doorbell has night vision and infrared LED’s to enhance the night vision view. 4:31 The nest camera streams HD video. It has a low medium and high setting. The high setting uses 1.25 MB/S of upload speed. medium smart video doorbell setting uses 0.9MB/S the low smart doorbell video settings uses 0.12MB/S of upload speed. 5:40 The nest hello smart video doorbell has 24/7 recording functionality vs the other video doorbells which only turn on recording when motion or sound is detected. 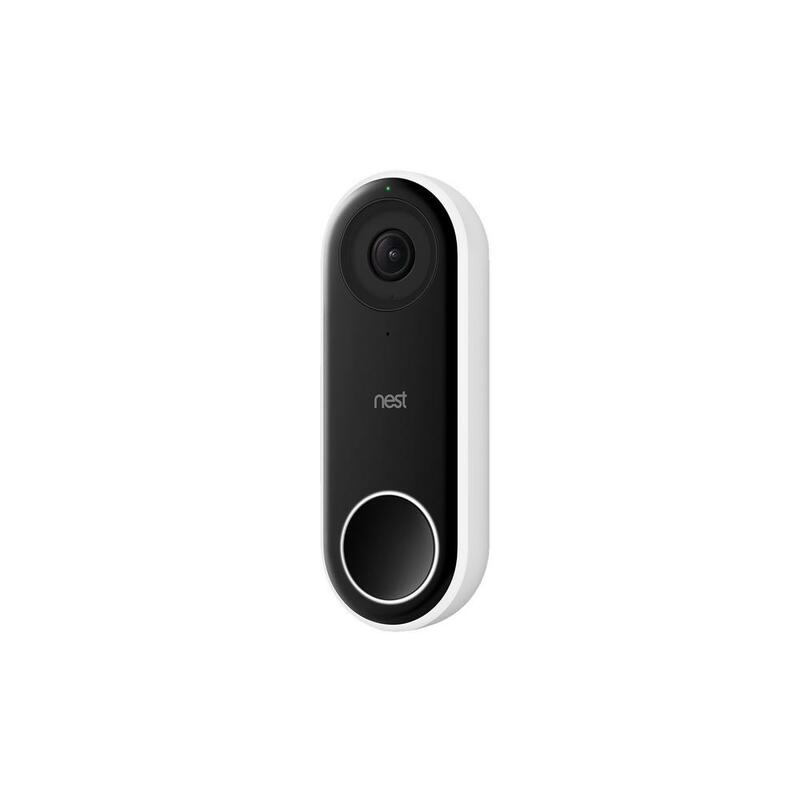 The 24/7 recording functionality makes nest stand out in the crowded video doorbell field. With other video doorbells there can be issues where the doorbell does not capture video until motion is detected and sometimes all you see is the back of a person rather than when they are approaching the door. 6:30 Nest Hello video doorbell notification settings. It will send you an alert on Motion, People or Sound. 7:25 Nest hello aware subscription will allow you to be be notified with familiar faces. 8:00 Nest Hello Doorbell can prevent amazon package theft. 8:30 Nest Hello Doorbell has a great form factor. 9:00 You should check the upload speed on your network to make sure you have upload bandwidth for nest hello smart doorbell. 10:00 I recommend the Eero Home wifi system for connecting nest hello doorbells or multiple cameras. 11:00 You need to have the bluetooth on your phone on to connect to the doorbell, when you are setting it up. 12:14 The nest hello doorbell has a nest aware subscription, you can get 5 days, 10 or 30 days of continuous recording. 13:20 You can set activity zones for specific alerts for areas of your yard. 14:00 The nest hello smart doorbell has 2 way communication. You can hear the people at the front door or you can speak to them. 14:45 Nest hello has pre-recorded responses for people at your front door. 15:21 The doorbell runs on 16-24V AC. You need to have a transformer that is compatible with the nest hello, you can confirm this by looking at the existing voltage on the transformer. 16:00 Most newer homes have enough power for the nest hello. 17:00 The nest chime receiver allows you to mute the doorbell within your house, if you have a sleeping child or a dog that reacts to the doorbell. 17:45 The nest hello doorbell has 24/7 streaming and does not require any power. 18:19 I recommend the installation of a new doorbell over a security camera. 18:48 The nest hello doorbell has a light ring around it that attracts people's attention, people then know they are on camera and it attracts people's faces so you get a great shot of a person's face. 19:45 It is better to prevent a crime with the nest hello doorbell rather than record it. 20:00 My favorite smart doorbell that I have on my house is the Nest Hello Doorbell. 20:24 If you don’t have a compatible transformer, you can use a plug in low voltage transformer for the nest hello. 21:00 What should you do if you don’t have a hardwired chime in your home for the nest hello? You can use the google home mini as a doorbell chime. 22:00 Can you wire up 2 nest doorbells in the same house? Yes you can but you need to wire them correctly. 22:00 Can you replace an existing intercom system with a new nest doorbell system? Yes, it just requires the installation of a new transformer, you can use the existing wiring but you will need a google home mini as your speaker. How do you change or turn off notifications from the nest hello video doorbell? Can I use a plug in transformer with the nest hello video doorbell? What transformer should I use with the nest hello smart video doorbell?